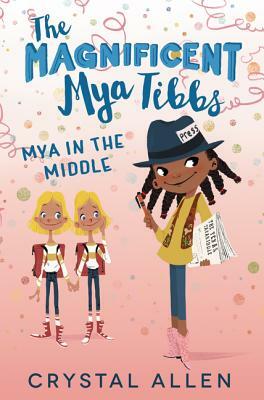 The third book in the hilarious middle-grade series about Mya, the cowgirl-loving fourth grader—perfect for fans of Ramona the Pest and Clementine. Things have changed in the Tibbs house, and Mya isn’t happy about it. She’s stuck in the middle between an exceptionally cute baby sister and an exceptionally smart older brother. And her tired parents seem to only notice the “exceptional” kids in the house. So when a class project lassoes Mya into starting her own school newspaper, she’s sure this will earn her the star status she wants from her parents. But the same project also gives Mya’s archenemy, Naomi Jackson, a chance to prove she is a better friend to the twins, Skye and Starr, than Mya is . . . and soon Mya feels caught in the middle again, just like at home. Good gravy in the navy! When Mya makes a monumental mistake in an effort to celebrate the twins, she stands to lose everything, including their friendship. Now she has to figure out how to get back in the saddle, grab those reins, and gallop her way toward fixing everything.